The Mast Motorsports LS3 416ci stroker engine for “The Race Car” El Camino (TRC-1) is another amazing amalgamation of American made aluminum awesomeness! 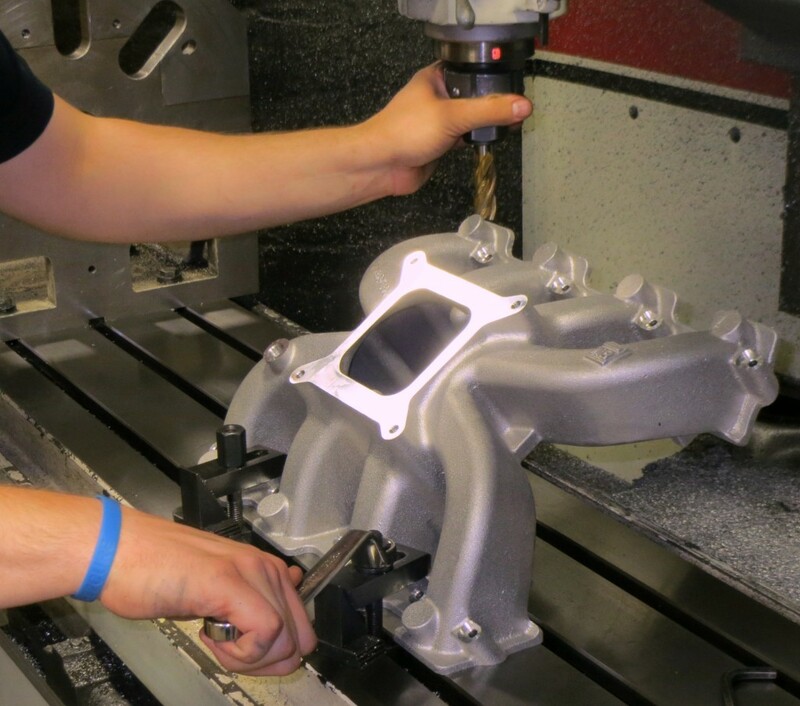 The aluminum LS3 block and the Mast Motorsports aluminum cnc machined head castings came together at the request of Gregory Cragg for the TRC-1 El Camino. 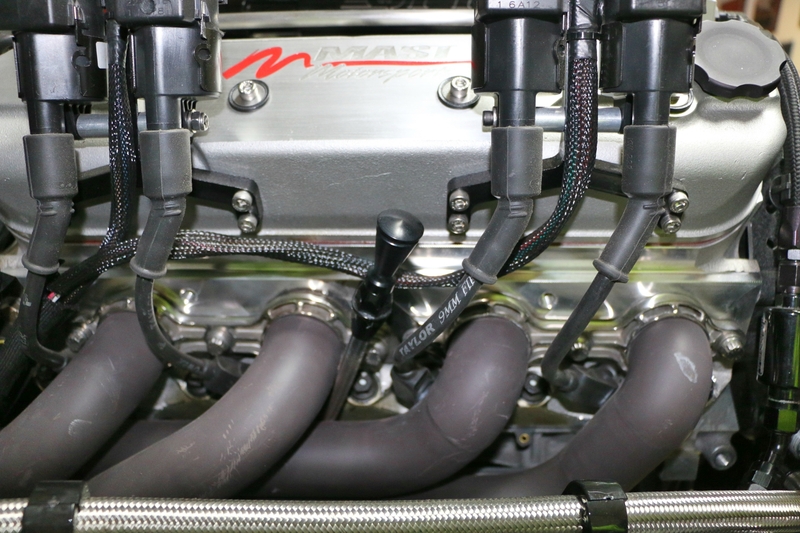 Once again Mast Motorsports shows how and why they are one of the premier engine builders in the U.S. They use premium quality internal parts and assemble them with surgical precision. Not only did we build up the engine for the TRC-1 El Camino, but your author also decided to jump on the band wagon and purchase a Mast Motorsports engine for the HotRodRegal project!- more on the dirty little 6.0L that could in future HotRodRegal articles. When a guy or gal orders an engine from Mast Motorsports, one has the opportunity to decide which parts will be installed. This bespoken suit will be tailored with the highest craftsmanship and will wear like no other engine previously worn by your vehicle! This is a fun process, and much like having a suit custom tailored, the engine will be spot on and fitted for the use intended in the car or truck that wears it. Have fun with the tech on the other end of the phone as he takes the order, as this will be a very topital experience. There are endless options, so don’t be afraid to ask the experts for advice when selecting the customized parts for the build. So what is it? What are the specs. here? Give me some numbers bro… OK here ya go! 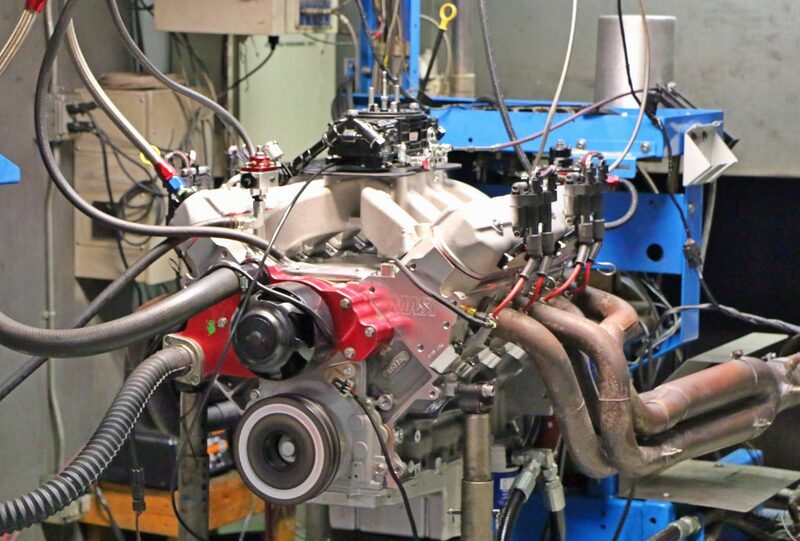 The LS3 416ci stroker is machined, prepared and completely built at Mast Motorsports with a new GM LS3/L92 bare block. This sewing machine uses a forged 4.000″ stroke Callies Compstar crank and 6.125″ Callies Compstar H-beam rods; all stitched together with ARP studs. The pistons are Mahle forged flat tops and move air through the Mast Motorsports Black Label LS7 265 heads (P/N 510-333). These well dressed heads utilize Gen IV valve train components and are designed for a 4.00″ bore or larger. 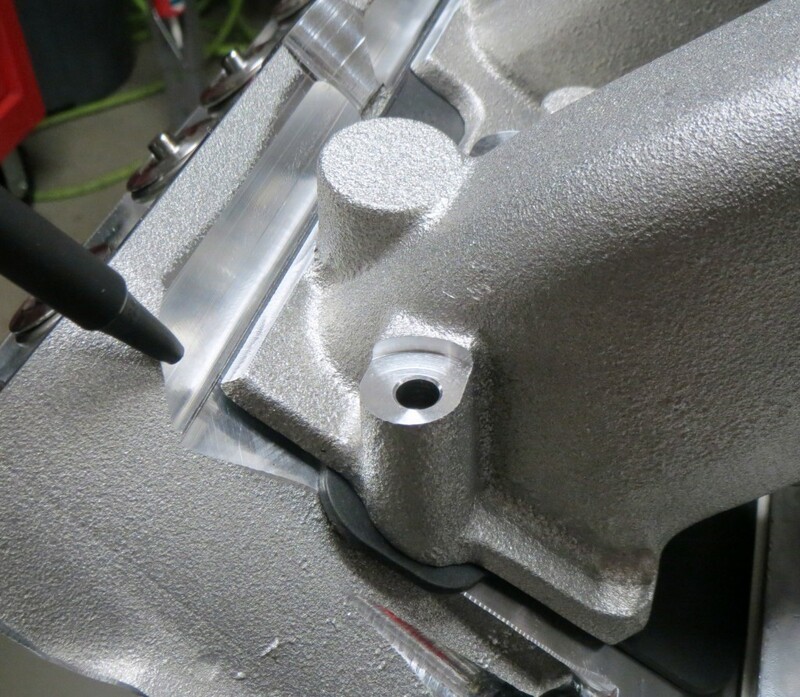 They have 11 degree valve angles, 265cc intake ports, machined to a deck thickness of 0.750″; and the 2.165″ intake and 1.6″ exhaust stainless steel valves (with 5.450″ stems) are actuated by LS3 rocker arms that ride along Mast’s Black Label billet rocker stands. The heads are threaded with Mast’s 7.4″, 5/16 dia. push rods (with 0.080″ walls) and are contained with optional titanium retainers to keep the PAC 1204x dual valve springs in check as they keep time on the top end. The custom ground CompCams camshaft 222/234 at 112 degrees with a centerline lift of 602/612 orchestrates this auspicious rhythm. It employs a Cloyes C-3229 timing set to keep things obedient to the long arm of the law forged steel stroker crankshaft. Working as tirelessly as rest of the crew, a Melling high volume oil pump keeps all moving parts thirst’s quenched while working up in the 7200 RPM range . We had an ATI Damper (part number 917286) torqued down to the front of this little singer to protect the investment and smooth it all out. Of course with any nice suit, one needs a nice set of shoes too. 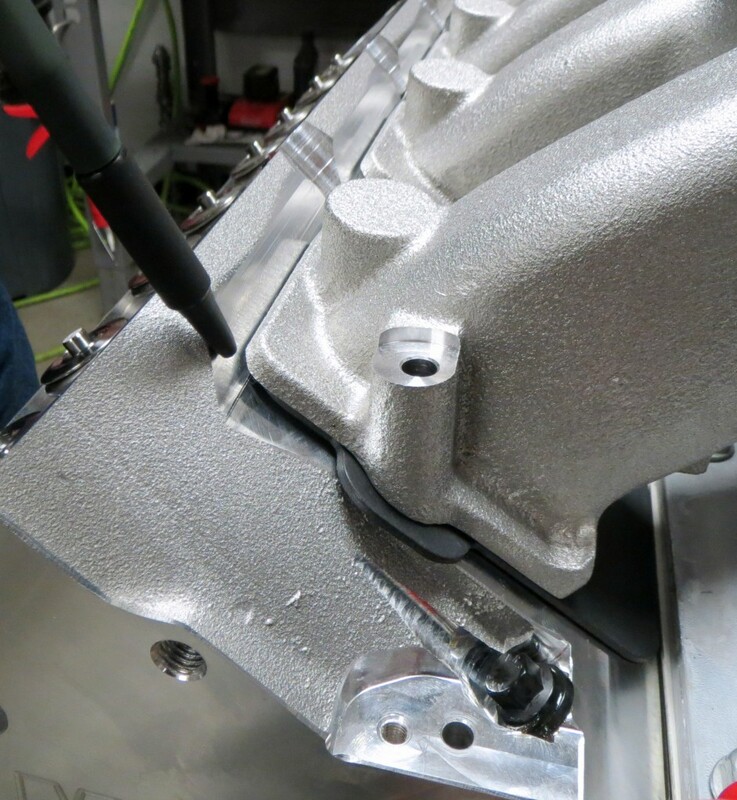 Rounding out the look, we stiffened up the bottom end of the block with the cast aluminum Mast Motorsports oil pan, and had this one plumbed for a ClearView remote billet oil filter. The TRC-1 El Camino is a drag racing, auto crossing, daily driving torque monster, and now has a dapper engine ready for a night out on the town! Now for the fun part of this engine build up! 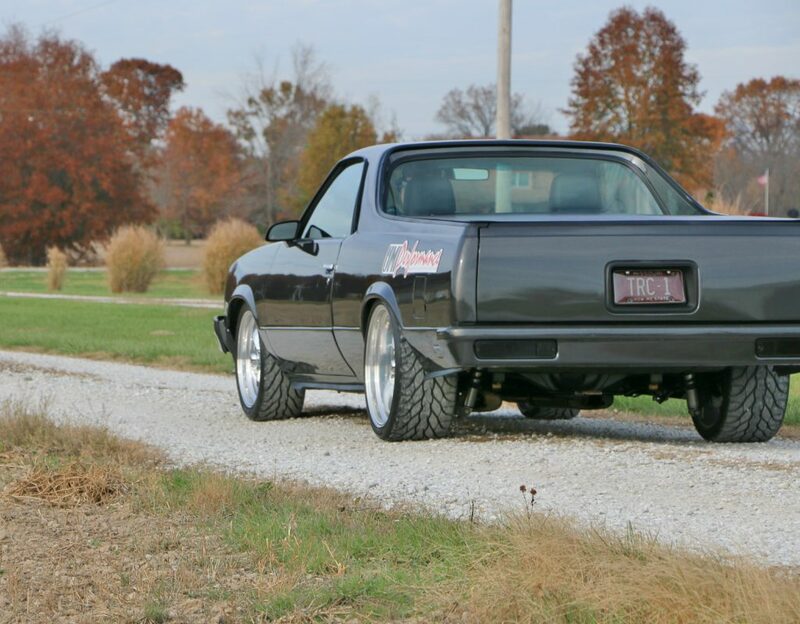 Our goal was to not only have a set of custom suits, or rather custom built engines tailored to our needs, but to have some real data to back up our naturally aspirated preference for the TRC-1 El Camino. We wanted to test a factory style, fuel injected intake/throttle body system vs a carburetor and a GM performance part single plane intake. Thankfully, this service can also be performed at Mast Motorsports since they dyno each engine they build. 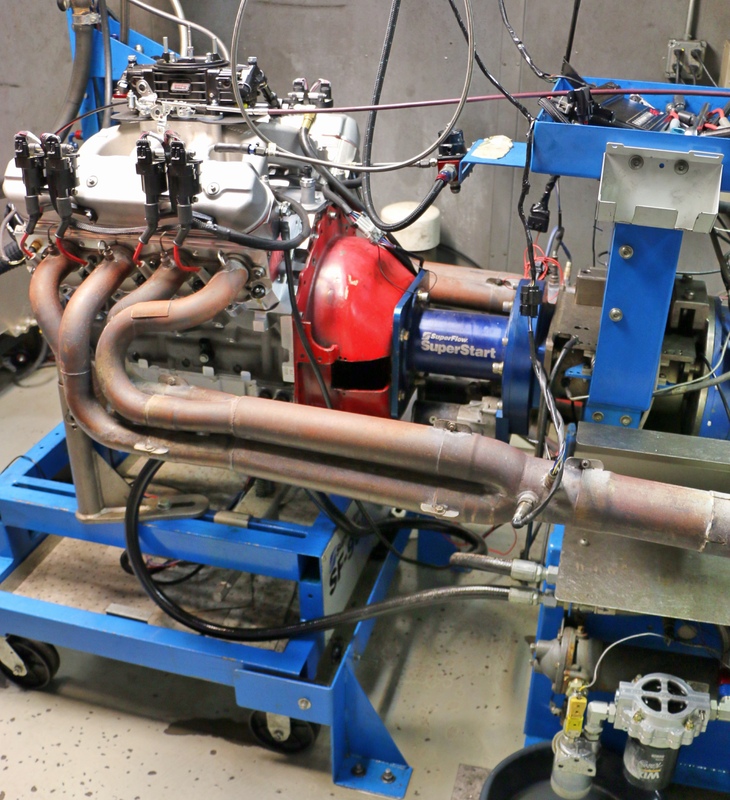 The engine dyno is a great way to have a very controlled environment to eliminate as many variables as possible during a comparative test. We removed the temperature variable by having a closed and temperature controlled room. We removed most barometric changes by testing in a very short time span on the same day. We removed cold/warm engine variables by “breaking in” the engine first and then warming the engine up prior to peak pulls. We removed tuning / timing variables, by having the ability to add or subtract timing in each configuration. We removed the fuel variable by using the same tank of fuel on both configurations. 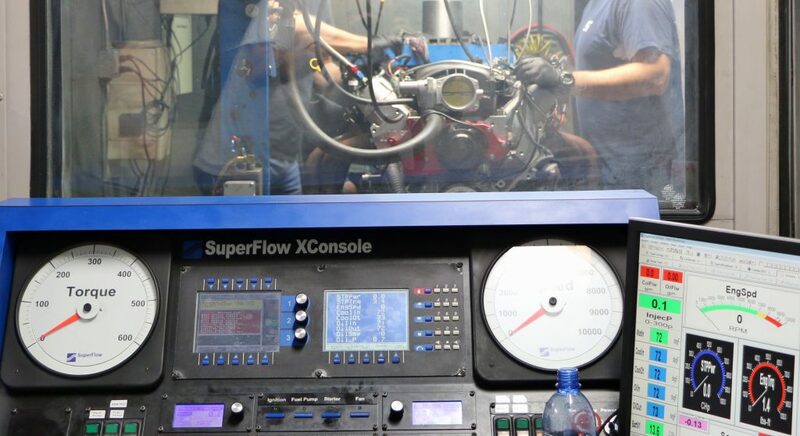 As one can imagine, having engine dyno time is very valuable for comparing the same long block engine with different fuel/air delivery systems. The Mast Motorsports LS3 based 416 cubic inch stroker engine was initially set up with a stock GM LS7 intake and throttle body to test the Black Label LS7 ported heads and Cam combination. 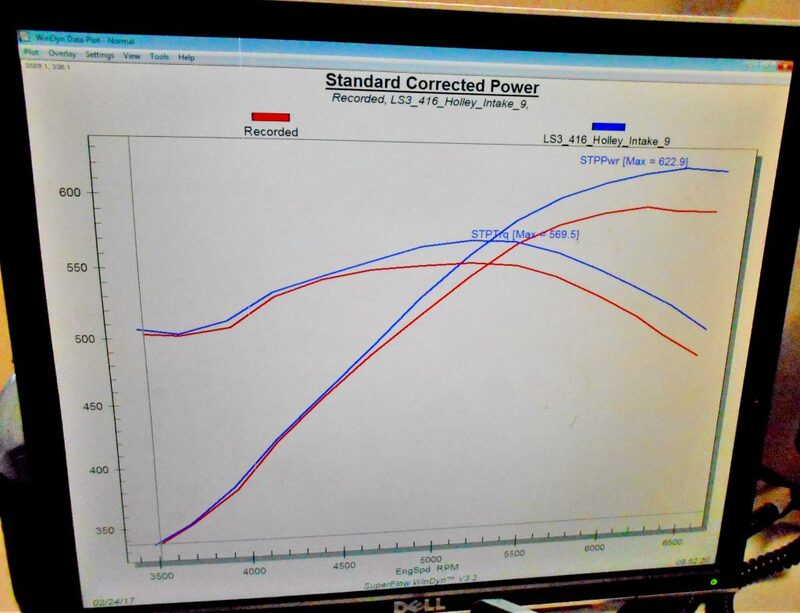 We needed this data to compare to the QFT carburetor and GM single plane intake we had planned for this engine. Seen in the pic above, the engine is ready to go and the factory LS7 intake/injectors/throttle body combination is being finalized for the initial run of the Mast Motorsports LS3 416ci stroker. We have a lot of fun working with Mast Motorsports and the guys in the shop. Everybody is a gear-head and high performance enthusiast, – how can you not have fun here?!!! Check out the video below to see how the Mast Motorsports LS3 performed with the stock LS7 fuel injection combo and the 265 Black Label heads. 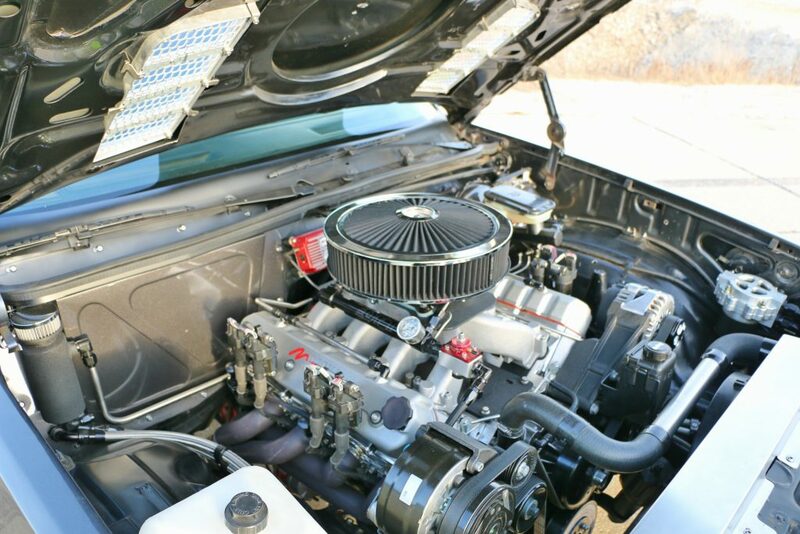 If you have been following www.HotRodRegal.com, you know that Greg has had another El Camino with a 440 LSX Mast engine in it… we installed a Quick Fuel Technologies BDQ-950 on that one with the same GM performance parts intake because we made more horsepower and torque with that combo. Greg is old school and loves his carburetors. So naturally, the desire to duplicate those positive results was strong. As a side note, the GM performance parts intake has some pretty large flanges at the base of the runners and will need to be shaved down to mate properly with the Mast Motorsports 265 Black Label heads. Mast Motorsports has the ability to make these parts work together via cnc. After this was accomplished, we bolted up the GM Performance Parts intake (P/N 25534394), the cool carb plate, and a QuickFuel Technologies 850cfm carburetor to the 416ci Mast Motorsports LS3 and let’er rip. 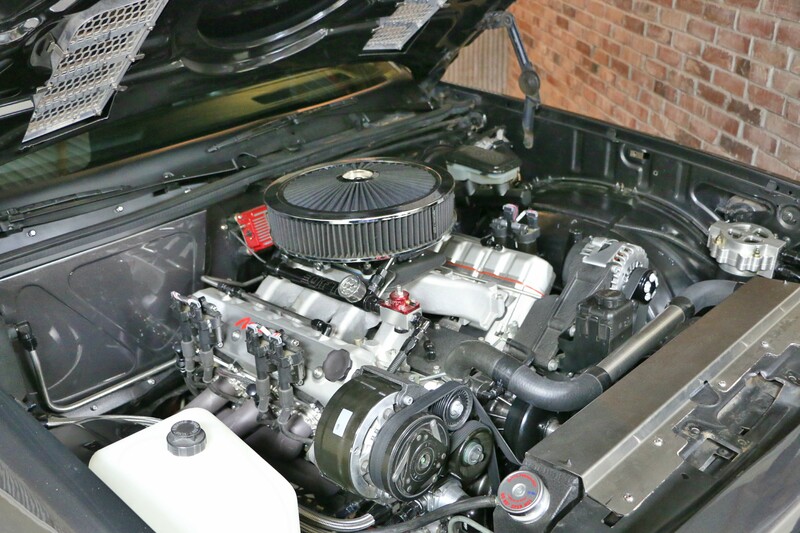 When using the GM performance parts LS7 intake, there is some clearance work that needs to be performed. Mast Motorsports is more than capable of making this work. This is the before photo. Take a little off the top please. We have clearance Clarence – after Mast Motorsports works their magic of course. 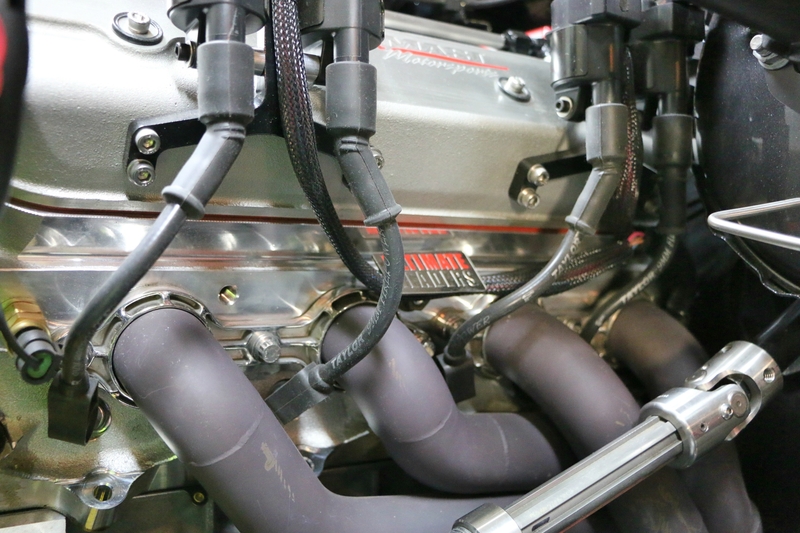 The Mast Motorsports 6.2L 416ci stroker was then configured with the GM performance parts LS7 carburetor intake and a Quick fuel technologies 850cfm carb (P/N BDQ-850). Results are in for our combination, and the winner is the single plane GM intake and the Quick Fuel Technologies 850 carburetor. The red line represents this engine with the previous stock LS7 fuel injected configuration. The blue line represents the QFT-850 carburetor/GM intake configuration (not a Holley intake 😉 . Torque is what we want from this engine for the auto cross and we got it. We think that is a pretty good torque curve. Hopefully, this information shows that for a given engine combination, it really is necessary to test in a controlled environment. This is a very accurate way to determine which combination worked on this engine and ultimately which direction we should go with the build. Not only does Mast Motorsports build a superb product, but they have unsurpassed customer service! They made us feel very welcome, we had a great time with all the techs in the shop, and the owner Horace Mast spent time with us working the dyno at the end of the day! If your getting a great product, that’s good and that is how it should be. If your getting a great product and appreciated like one of the family, that’s the best and truly unforgettable! This is hands down an experience that a car guy should strive to accomplish and ultimately, a product to own. What’s next on the agenda? Greg and I made it to a couple races last year to set up the car and go through a break in period. 2018 should promise a lot more use with this Mast Motorsports LS3 416 cubic inch stroker engine! Right now, the TRC-1 El Camino is on a diet and should be back together just in time this spring to race. We found www.StraightShotPerformance.com with a 7 lbs core support made of chrome molly steel. Also, we found light weight bumper brackets made of chrome molly steel as well as several weld in braces from www.TrickChassis.com. There will be more on these items as we get them installed. One thing is certain though, laser cnc cut parts are beautiful and revolutionizing fabrication and car building! 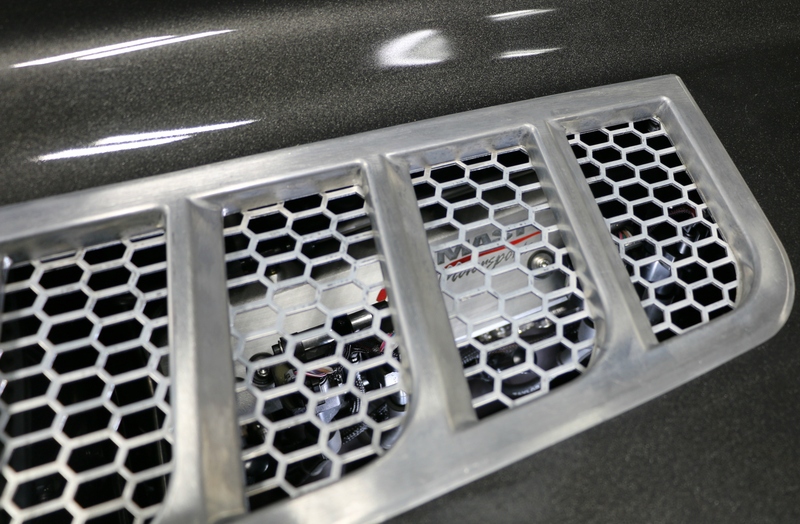 These VERY functional www.HexVents.com hood vents give on lookers a subtle, but fair warning of what lurks beneath. The Mast Motorsports LS3 416ci engine makes heat waves at the stop lights when we are out and about – this is just kinda cool to see. I would love to get an infrared photo of this area in action! It probably looks like an angry bull with the heat coming out and over the roof line. Mast Motorsports LS3 – Mast Motorsports valve covers and coil brackets – Ultimate Headers – Taylor 9mm wires – Flaming River steering shaft. Quality parts easily make for a pretty cool photo. Instagram: Why aren’t you following? See the photos of the frame mods, light weight parts, and other great G-body ideas!